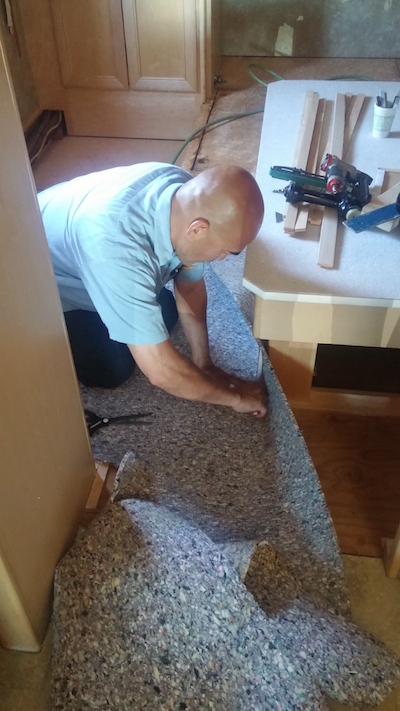 RV Renovators is a service and body repair department that has over 30 years experience here in Arizona. We are a “preferred” insurance repair facility for many major insurance companies and available for all of your service needs for any new or used travel trailers, fifth wheels, campers or motor homes, including yearly maintenance, custom interior design, and electrical system servicing including air conditioning and appliances. – Fiberglass and paint repairs and much, much more! We are a full service RV dealership is located in Mesa, Arizona, just outside of Phoenix. We are also happy to serve our neighbors in Tucson, AZ, Flagstaff, AZ, Los Angeles, CA, Albuquerque, NM, and Denver, CO. As a full service RV dealer we offer new and used RVs, travel trailers, fifth wheels, campervans and motorhomes for sale from Komfort, Trailblazer and Coachmen. We are a dealer that offers sales, service, financing and consignment options. Call us toll free or email us today! RV Renovators has teamed up with Germaine RV Sales to bring you the best of both worlds. 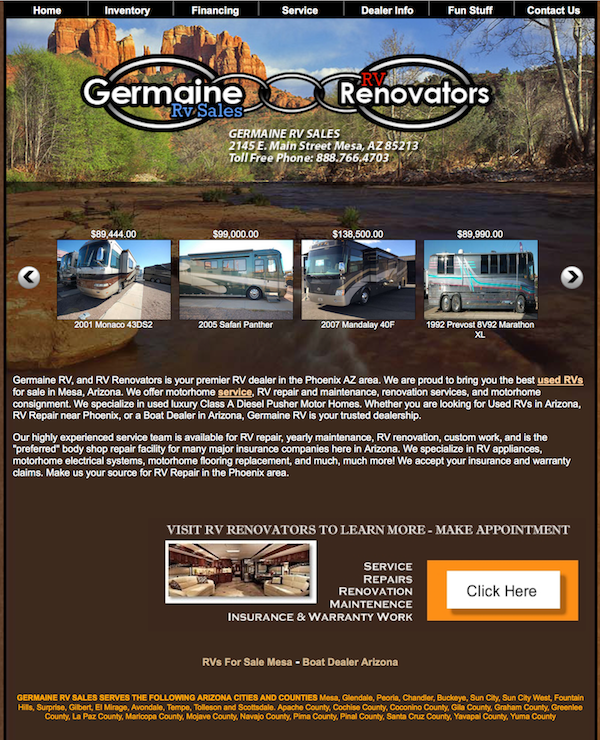 Germaine RV Sales and RV Renovators – Two Great Teams, Together! Germaine RV Sales is a full service dealer and low overhead sales company that has made a commitment to offer you the best quality new and used RVs for sale for the lowest prices. The knowledgeable sales staff at our Mesa, Arizona dealer location is here to provide you with a sales experience and to educate you on a successful purchase and ownership. We are happy to present you with both new, in-stock and used RVs in all price ranges, from travel trailers and fifth wheels to camper vans and coaches for sale at our Arizona stores. Whatever your budget, we are the dealer that wants to invite you to our AZ dealership to join many others in the RVing lifestyle. If you are looking to sell your motor home or trailer, Germaine RV Sales is the dealer that has two options. We can either buy your recreational vehicle directly from you, or you can participate in our consignment program, where we do all the selling for you, and you go home with the money. Give us a call (480) 962-6789 or stop by our AZ dealership for more details about our consignment options.